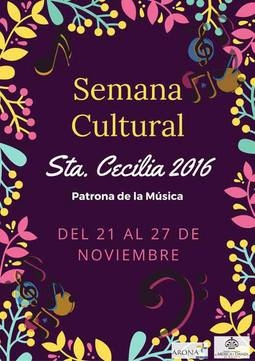 Arona are celebrating the festival of Santa Cecilia, the patron saint of music, with a week long programme of dance events by the Arona School of Music & Dance. One of the highlights include a students concert on Thursday 24th November at 18.00 at the Plaza de La Pescadora (next to Los Cristianos beach to the right of Bahia restaurante). Friday there will be a childrens show at 5pm in the Los Cristianos Cultural Centre and at noon on Sunday a band will be playing local music in the Plaza de La Pescadora again.